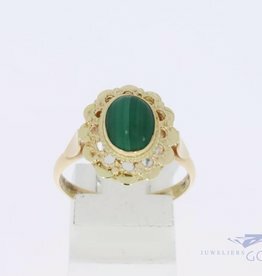 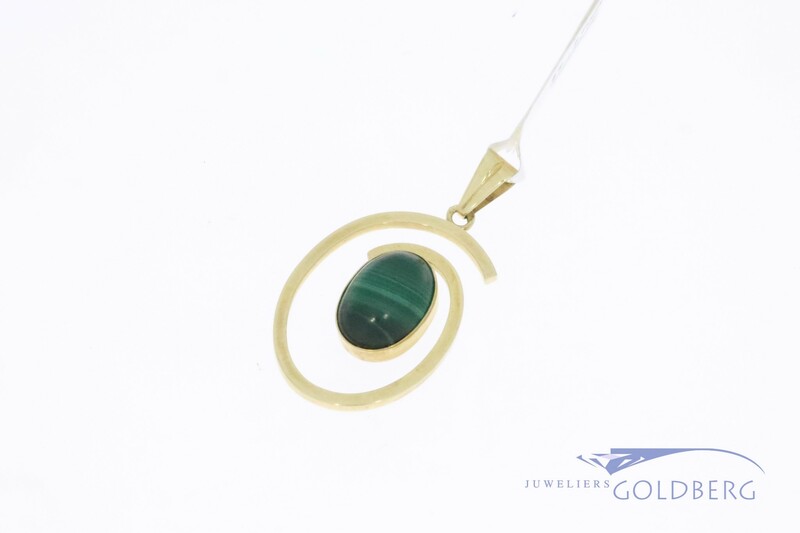 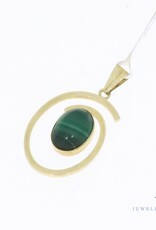 14 carat gold vintage spiral-shaped pendant with dark green malachite. 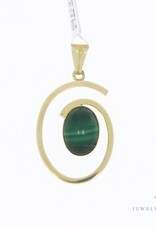 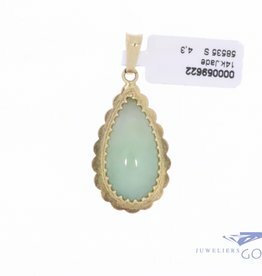 The pendant is in total 19 mm wide and around 35 mm long including the upper eye. 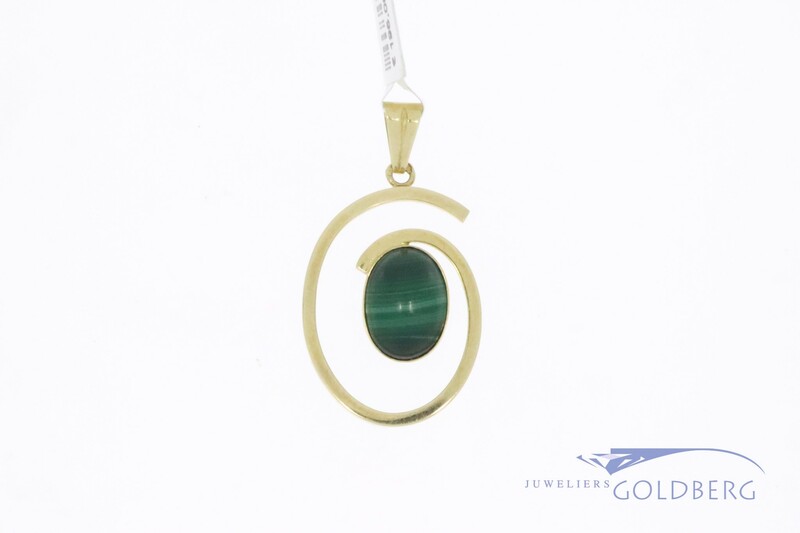 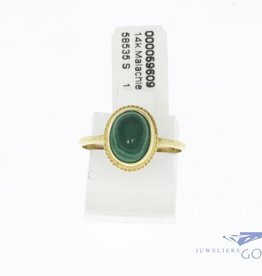 The malachite is approximately 12 mm x 9 mm.